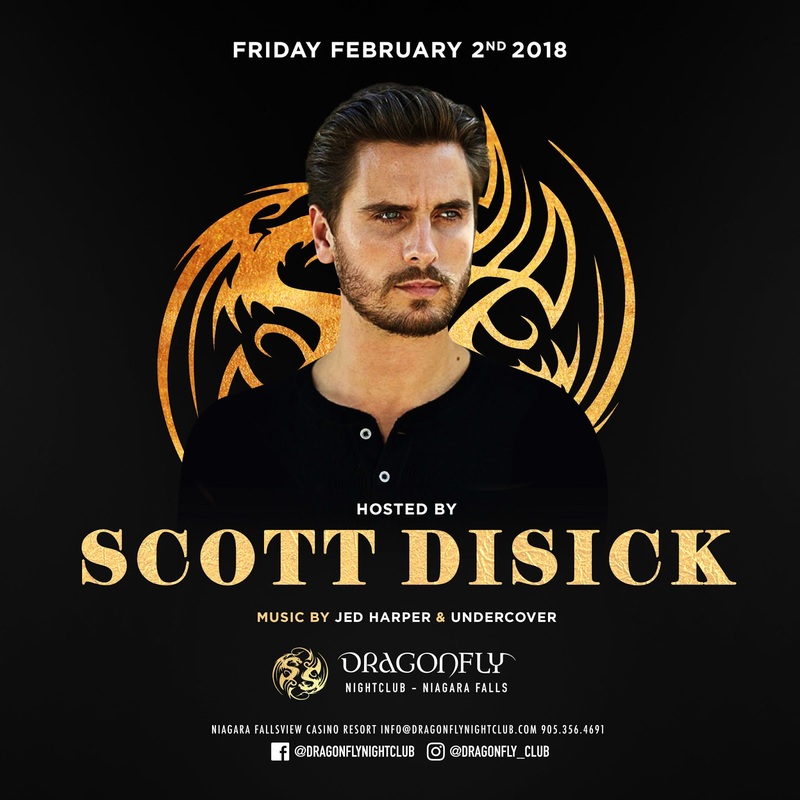 INK Entertainment is proud to present Scott Disick aka The Lord at Niagara Falls’ Dragonfly Nightclub on Friday, February 2nd and REBEL Saturday, February 3rd. Scott will host both parties with music by well-known DJ Jed Harper, joined by Undercover in the Falls and Scotty Scratch in Toronto. Born in Eastport, Long Island, Scott Disick is a reality star, club promoter and former real estate agent. His celebrity stems in large part from being the longtime love interest of socialite Kourtney Kardashian, and from appearing regularly on her reality television programs Keeping Up With The Kardashians, Kourtney & Khloé Take Miami and Kourtney & Khloé Take the Hamptons. ‘The Lord’ shares three children with Kardashian.